Billy Boat Exhaust Buyer's Guide | Performance Exhaust Systems - Fast Shipping! What do you get when you add extra performance with an unrivaled sound? Billy Boat Exhaust. One of the leaders in performance exhaust systems, Billy Boat Exhaust is helping lead the way in getting the most out of your vehicle. 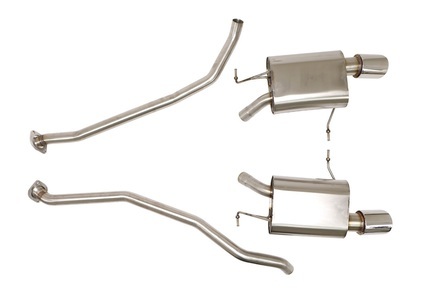 Let your BMW's engine breathe so much easier with the help of this exhaust system kit. This exhaust system will increase your horsepower, torque and even provide you with better fuel efficiency. You can also count on a more aggressive engine sound that you will surely love. It's one of the most accessible exhausts kits today! 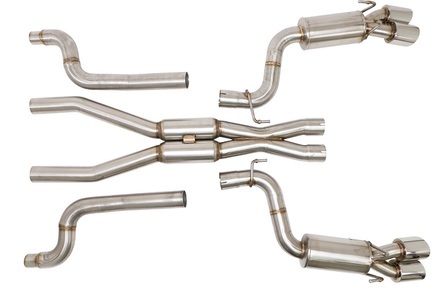 If you want to get the most out of your exhaust system kit, this is the perfect choice for you. Boasting the latest in BBE exhaust system technology, you get the best of both worlds with this one - achieve a no-drone sound when cruising down the road & get that sport note when you're tearing down the streets. Plus, you also get additional horsepower and torque! PartCatalog.com is a proud retailer for Billy Boat Exhaust. For more information on Billy Boat Exhaust, please visit the Billy Boat Exhaust official website.